RTL-SDR: Elonics E4000 Tuners are Elusive! 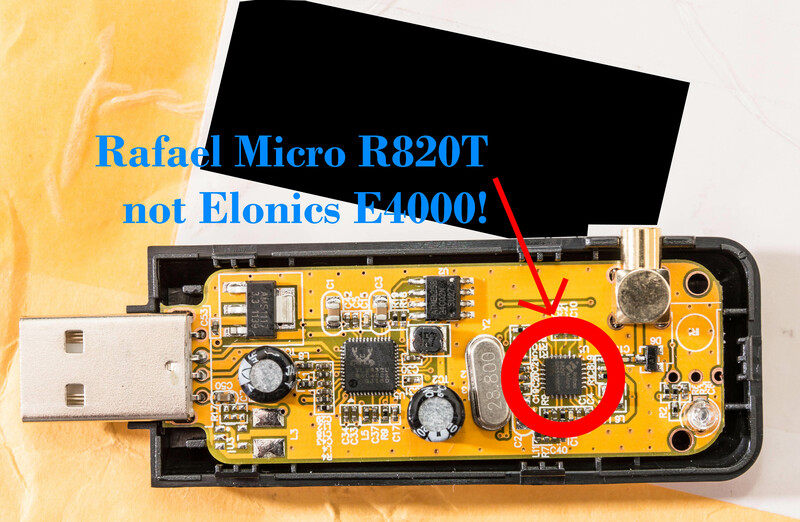 I think that most will have already realized that it is old news that Elonics had folded and supplies of the E4000 tuner ICs were getting short. But for some applications, the Elonics E4000 is still the preferred tuner, owing to its wider frequency range up to 2200Mhz and different reception interference characteristics. 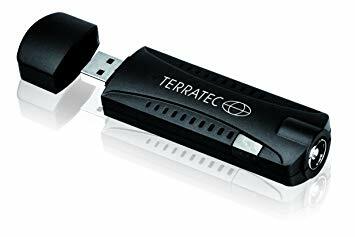 I had a few E4000 tuners, but foolishly, I had given them away or employed them in other uses and I couldn’t easily pinch one. So instead, I tried to snag some from eBay in the hope that there was some still stashed around. Buyer Beware! eBay is filled with misleading listings – things like “for E4000” which instead claim they have the R820T which is an “upgraded E4000”. Or things where the title says “E4000” but the listing doesn’t and is silent about it, or have some “excuse” about the R820T being better. You can actually find some listings with congruent RTL2832U + E4000 combinations, although they are few and are slightly more expensive. And there are others which (for the price) you’d hope they’re actually right! Unfortunately, even the congruent listings proved to be a disappointment. (Mailing details blanked for privacy). 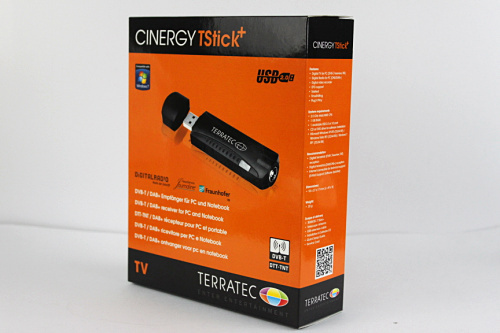 I won’t say who this came from, but needless to say, it seems the Terratec Cinergy+ is R820T based. Other sellers may try to pass it off as “it works the same”, but technically there are differences in their operation, and if you care about that, you’re probably one of the ones searching for the E4000 in the first place! I’m still waiting upon the resolution to be “delivered” but I have confidence that this one will be sorted. The more interesting thing will be the other listing which I bought, which claims an E4000, but has still not shipped in over two and a half weeks! Maybe it’s shipped and the seller didn’t update it, or the seller is busy trying to find a real E4000 to despatch because they care? But buyer beware – even if it says E4000 in the title, and in the listing, chances are high you will not get an E4000. You’re probably getting a R820T, and if you paid more, you’d probably feel a bit disappointed. This entry was posted in Computing, Electronics, Radio and tagged rtl2832, sdr. Bookmark the permalink. 4 Responses to RTL-SDR: Elonics E4000 Tuners are Elusive! I have two of the E4000 based receivers and about six of the R820T’s. For my purposes, the R820T has met my needs. The only signals I am not able to access are the cellular PCS signals on 1900MHz. Several months ago, a neighbor sensing the impending shortage bought five of the E4000 receivers that he is sitting on right now. Your neighbour has been quite wise :). I’ve deployed about 5 x E4000’s which are all busy in use. For general Broadcast/144Mhz/400-520Mhz/800Mhz and ADSB, the R820T (I’ve got about 12, although I’ve given a few away to friends) is pretty good, although I think the E4000 may have been a hair better in aviation band and 400Mhz band. No chance of getting the R820T past about 1Ghz as it seems to go quite deaf in my experience. Interesting. 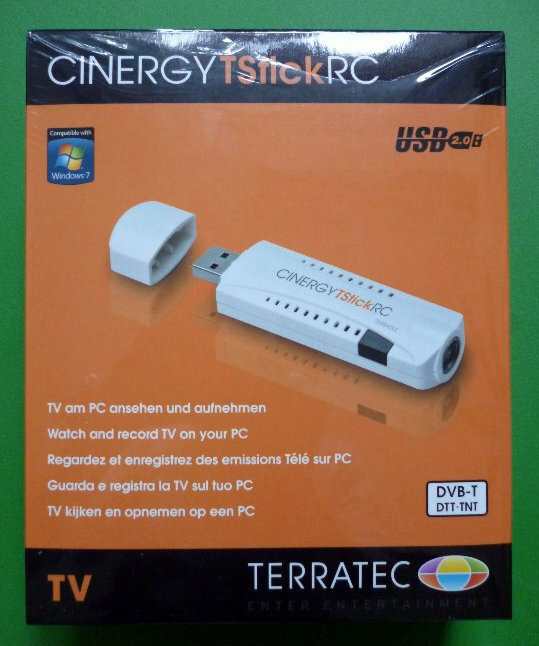 I’ve bought a Terratec Cinergy TStick+ half a decade ago and it did in fact come with an E4000 tuner, but the stick also looks completely different than yours, both on the package and the real thing. 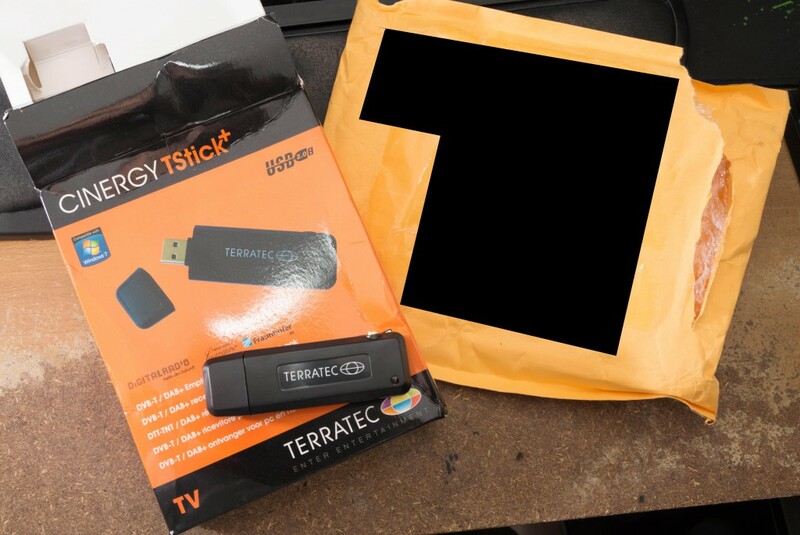 I will probably get my comment auto-deleted because of the links, but here are 2 pics of what the package and the stick I got (with the E4000) look like. Note that it has the full-size antenna connector built right into it and doesn’t require any stupid dongles.